At Bulkmatic we know what it takes to make a successful company, and it all starts with our team of employees. We set out to create a work culture that attracts, retains and rewards the best individuals in the industry. We offer a comprehensive benefits package to all full time employees including paid vacation and holidays, Medical, Dental and Vision insurance, 401k with employer match, and life insurance among other benefits. 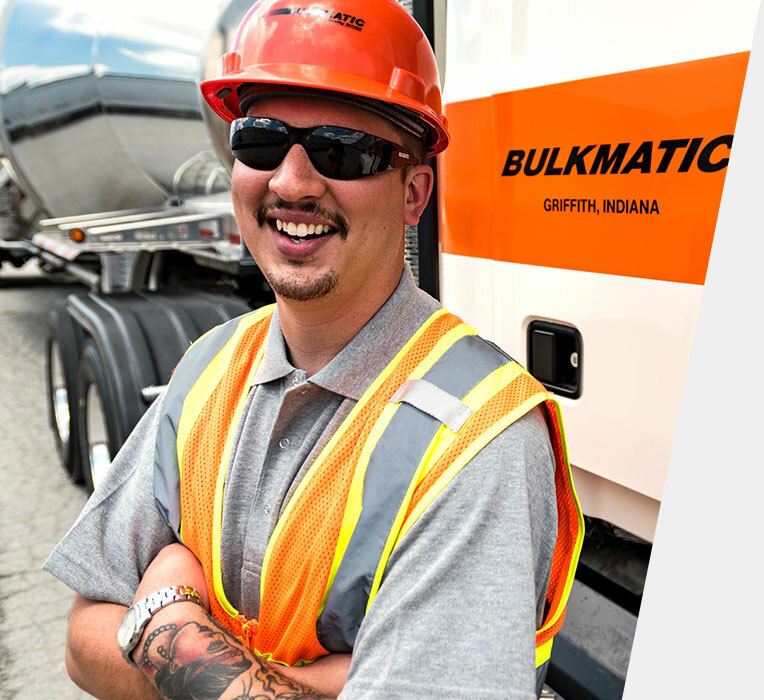 Join the largest dry bulk carrier in the United States and start driving your career forward with Bulkmatic today. At Bulkmatic you are more than just a truck driver. You’ll operate pneumatiaac equipment, manage relationships with customers and be empowered to make the right decisions for your deliveries – All while being part of a team that leads in the dry bulk shipping industry. Be part of the team helping to support the leading dry bulk carrier in the nation. We are always looking for exceptional candidates toaa drive our business forward.